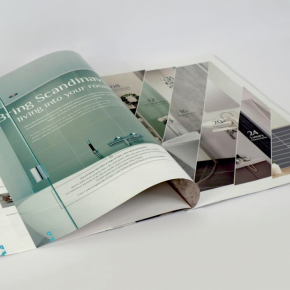 CMS Window Systems has substantially expanded its manufacturing operations, as it opens a new 8,500 square foot factory in Kirkcaldy, Scotland. The investment, in excess of £500,000, has also boosted capacity at its long-established recycling plant in the Fife town. The state-of-the-art new factory will see the production of doors, to add manufacturing capacity as CMS encounters record growth via rising demand from housebuilders, social housing providers, trade customers and main contractors throughout Scotland and, ever more so, the whole of the UK. A range of new manufacturing jobs will be created, including employing two new apprentices; taking the number of Modern Apprenticeships created by CMS past 100, since the business began 12 years ago. 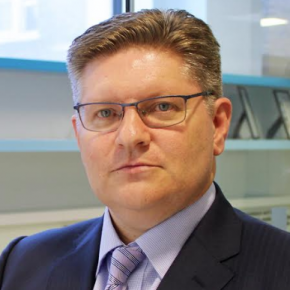 The new factory opening comes as the company has made David Ritchie its new CEO; he steps up after six months as Chief Operating Officer in a move that allows former CEO and business founder Andy Kerr to start a new role as Deputy Chairman. 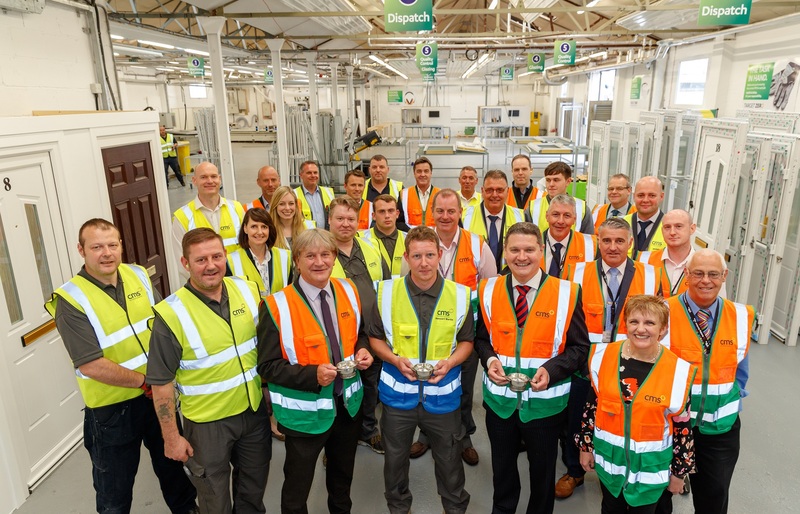 The official opening ceremony of the CMS Window Systems Hayfield Factory in the Hayfield Industrial Estate in Kirkcaldy, Fife on 12th June 2018. The new factory will initially produce around 200 PVCu door-sets per week, with its product portfolio ultimately set to include composite doors and fire doors, offering 30 or 60 minutes of fire protection. This new factory complements the company’s main 36,000 square foot operation in Cumbernauld, where it manufactures thousands of PVCu and aluminium windows and doors weekly. In addition, its recycling plant on the Kirkcaldy site has also been expanded, providing extra capacity for processing post-use windows and doors as part of its unique ‘closed loop’ promise which guarantees virtually all waste frames, glass and metal hardware from replacement projects and manufacturing is directed away from landfill to be re-used in new products. 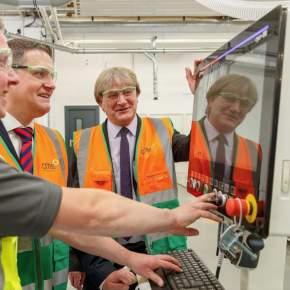 Speaking at the official opening, David Torrance MSP, who was in attendance, said it is ‘fantastic’ to see investment in new manufacturing jobs in Kirkcaldy and that he was ‘delighted’ CMS Window Systems has chosen the town as the location for its new factory. “It’s an extremely welcome move which will enable CMS to benefit from a high quality local workforce and Kirkcaldy’s excellent location for serving the whole of Scotland,” he said.